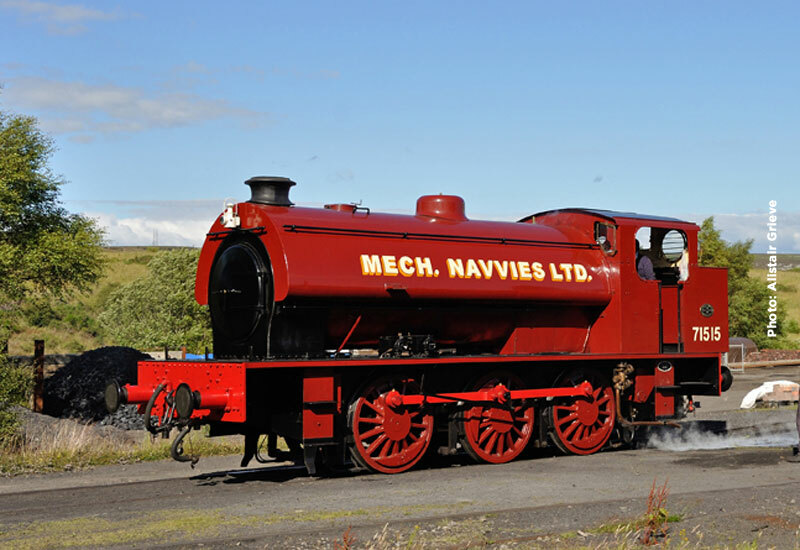 With only nine weeks to go until our brand new “Little Engines Gala” we are delighted to announce our first visiting locomotive, ‘Austerity’ 0-6-0ST 71515 ‘Mech Navvies Ltd.’ courtesy of the Pontypool and Blaenavon Railway (PBR). This type of engine featured in the early days of the KWVR with two examples of the class operational during the early years, Longmoor Military Railway no. 118 ‘Brussels’, now resident in Oxenhope Exhibition Shed and ‘Fred’, an ex-National Coal Board engine which left the Railway many years ago. 71515 was commissioned by the War Department in 1945 from Robert Stevenson and Hawthorns as WD71515, but, with WW2 drawing to a close, was quickly put to work at the Swalwell Disposal Point in what was then County Durham, the modern day Tyne & Wear. 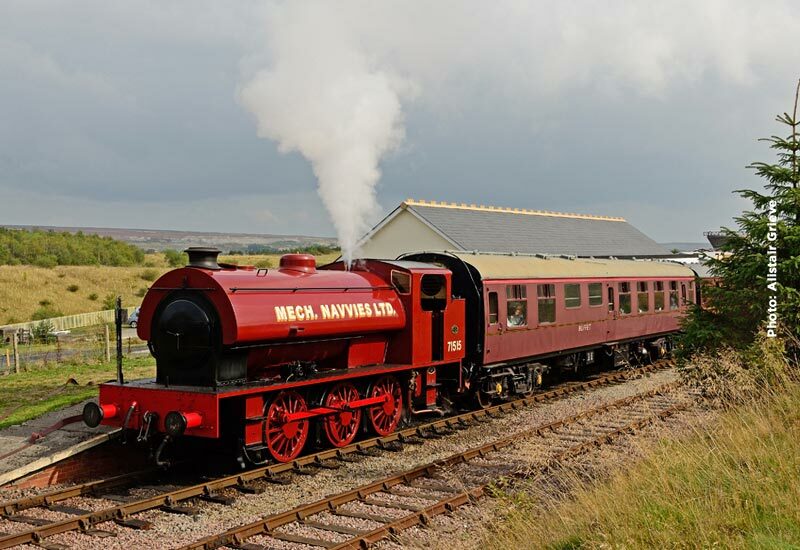 At the time, the opencast disposal point was worked by Mechanical Navvies Limited, and it is in that company’s livery that the loco now appears. It was taken into preservation by 1974 to the East Somerset Railway, where shortly after arrival she was liveried in BR black with the BR number 68005 in line with the J94 locomotives that ran on the national railway system, although 71515 never ran in BR service. By 1995 71515 ran at the Bolton and Embsay Railway, still in BR black and where she was nicknamed ‘The Mog’. Although overhauled in 2004, a burst boiler tube two years later put paid to her active service and was laid aside. Three years later, following interest shown by a PBR member, 71515 was purchased in August 2009, and in the following month, taken to the Flour Mill works in the Forest of Dean for repair, being repainted into Mech Navvies livery in the process. Arriving at the PBR in April 2010, the engine has worked the majority of services scheduled for steam haulage since.